CACHE (College ACademic and Historical Experience) is the digital archive of Kalamazoo College. Through CACHE, the College makes available some historical materials as well as student and faculty work. CACHE, contains a selection of photographs, correspondence, scholarly work, and publications from the holdings of the Kalamazoo College Archives and other college entities. This resource makes unique or rare materials from Kalamazoo College collections available to students, faculty, staff, researchers, and the general public. Note: Most student works are not publicly available. For access to student works, contact us at dspace@kzoo.edu. Kalamazoo College Photographs - This collection includes photos of people, places, and events of Kalamazoo College from the late 1800s. 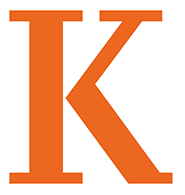 Kalamazoo College Publications - This collection includes Kalamazoo College yearbooks, alumni magazines, histories, and other publications created by and for the students, faculty, and staff of Kalamazoo College. Submit Your SIP to CACHE! Kalamazoo College students can submit SIPs to CACHE! SIPs may be in PDF, Word, Excel, or RTF format. It's fine to have multiple files. Upload limit is 200 MB, so if your file is larger, email dspace@kzoo.edu and let us know so we can help. We will convert your document to a PDF if necessary. We make all SIPs non-printable PDFs. Current Kalamazoo College students, faculty, and staff can log In to CACHE to access materials. If you are not a current K student, faculty, or staff member, email us at dspace@kzoo.edu for access.